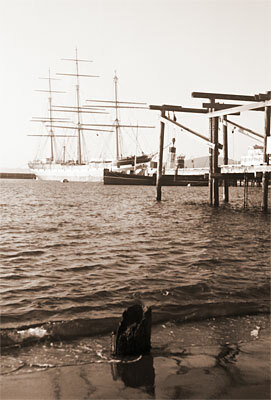 In late March 2008 at the Maritime Historical Park in San Francisco: The square-rigger Balclutha (1886) and steam tug Eppleton Hall (1914). Taken with my Kodak Vigilant Six-20 f6.3 (1946). I'm very fond of this picture since it is so very timeless... nothing even hints at when this photo was taken. It's very fitting that even the camera that captured this image is already more than six decades old. After running several rolls through the Vigilant with the f6.3 lens, I have to say I'm slightly disappointed that I can't see the slightest difference to the f8.8 lens on my first Vigilant. If anything, I've had more luck with the f8.8. A little bit puzzling, that. I almost feel I have to bring both cameras along and shoot side-by-side to resolve the question. 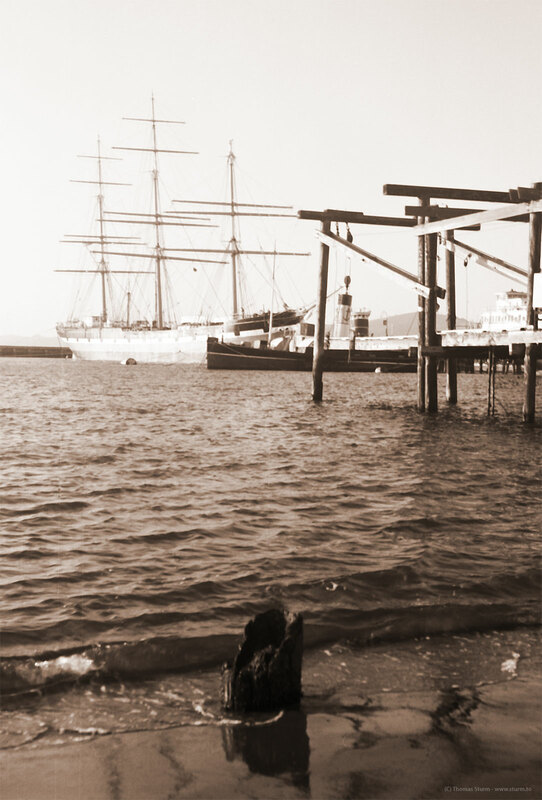 The Maritime Historical Park is highly under-appreciated - it is a wonderful collection of the seafaring tradition of San Francisco and the West Coast. If you have a few hours on a lazy weekend in town, check out the park with its great collection of ships.